Magento is one of the powerful ecommerce platforms, and it’s designed to be SEO friendly by default. Magento 2 launched in November 2015 and it has created a lot of buzz around its SEO features. In Magento 2, we see many improved SEO options. This new Magento version has been totally revamped and geared up to improve the default SEO capabilities. 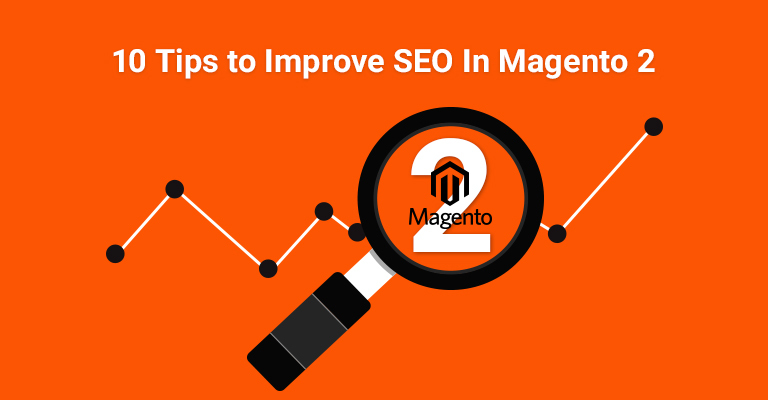 In this article, I discuss how you can improve Magento 2 SEO. Let’s start Magento 2 SEO optimization! As we know, Magento 1x is already optimized with major features. Magento 2 has minor additions to product page optimization. Meta tags setting still remains the same in Magento 2, such as Title, Description, and keywords, URL key settings for store views, Categories path for Products URL ’s and Meta tags for products. The latest improvement done to optimize the product pages is the introduction of “Product Fields Auto-Generation Template”. This new option can be used to define product Meta tags in association with the aid of available product attributes and predefined templates. This Feature is located in Stores > Configuration > Catalog > Catalog. In Magento 2, lots of enhancements have been observed in XML Sitemap. You can define the preference and frequency of Product, CMS, Category and other pages individually. Magento 2 facilitates us to add XML Sitemap to a robots.txt file automatically. This Feature is located in Store > Configuration > Catalog > Catalog > XML Sitemap. To index only category pages, select Yes from Use Canonical Link Meta Tag for Categories field and select No from Use Canonical Link Meta Tag for Products field. 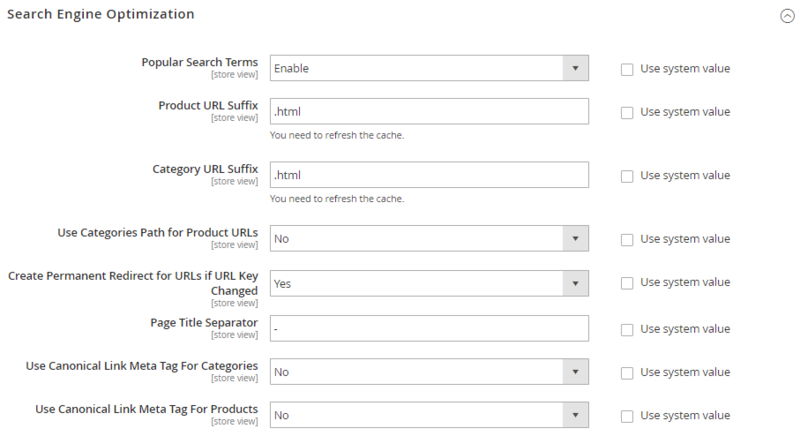 To index only product pages, select No from Use Canonical Link Meta Tag for Categories field and select Yes from Use Canonical Link Meta Tag for Products field. To index both category and product pages, select Yes from Use Canonical Link Meta Tag for Categories field and select Yes from Use Canonical Link Meta Tag for Products field. In Magento 2, one of the huge SEO improvements is the addition of Rich Snippets. This feature of Magento 2 helps to easily show structured markup data from Ecommerce websites in Google results. This new improvement helps to improve SEO and CTR and this functionality is enabled by default in Magento 2. So! You don’t need to work on it. Schema.org is added by default to the Magento 2 template. The main usage of Schema.org is improving the website rankings and marking up your Magento website content with metadata about itself. Another crucial Magento 2 SEO feature is the ability to use product labels. With this feature, you not only draw your customer’s attention but also improve SEO by applying labels to product images. This option is also available in Magento 1x but only by using third-party extensions. In Magento 2 there are three types of product relations. Up-sell is a product that you’d like your customer to purchase instead of the one that is already chosen, and it appears in the shopping cart. These products are always pricey and have better quality. Cross-sell displays other products from the “others” category which is related to the products in the cart and wishlist. Related Products displays additional products that the customer can buy the actual product, optimized for better SEO in Magento 2. It helps to make your products more discoverable and internal links help in on-page SEO. Universal Analytics is another major improvement in Magento 2 to improve the SEO. It will organize and collect the data of the customer to track their behavior. To allow Google Analytics to track Magento store activity, the first one has to enable Ecommerce tracking, which is easier in Magento 2. It even finds the keywords to build website conversion, easily. 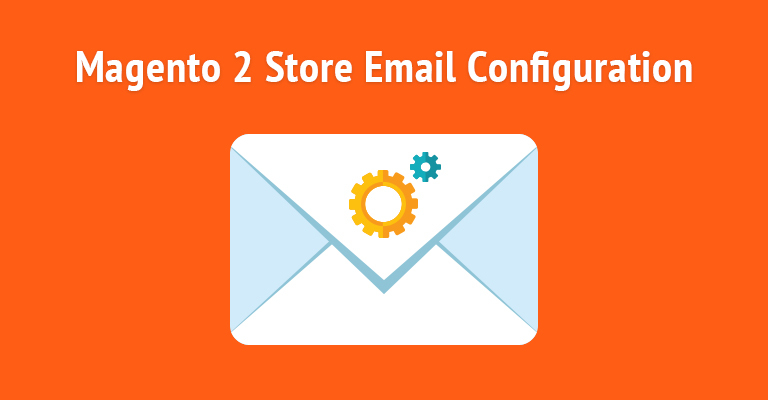 This feature is located in Store > Configuration > Sales > Google API. Google Tag Manager provides the ability to create and update tags for Magento 2 websites anytime, whenever needed. With this, we get better SEO opportunities. Note: This Magento 2 feature is available only in the Enterprise Edition. I should mention that all SEO settings available in Magento 1x are still the same in Magento 2. Default SEO capabilities of the platform have vastly improved in Magento 2. So it is more powerful than its precursor. If the default Magento 2 SEO options are not enough to satisfy your needs, then I suggest you use various third-party solutions. One other factor for SEO that we didn’t yet mention in this article is the speed of your website. Make sure to host your website on a reliable and speedy hosting stack. I hope by following the above Magento 2 SEO checklist you can improve the SEO of your store. And if you know any other Magento 2 SEO tips which I have missed, let me know in the comment box below! Making your store’s products easily accessible and visible to the audience can generate more sales and in that case, RSS Feed is a solution. To add RSS Feed to your Magento 2 store, you can follow this guide: How to Configure RSS Feed in Magento 2. Q2. How to Enable Web Server Rewrites? One of the most important tactic for improving the SEO of your Magento 2 store is enabling Web Server Rewrites. Here’s a complete guide that will help you in enabling it: How to Enable URL Rewrite in Magento 2.